Iconic. 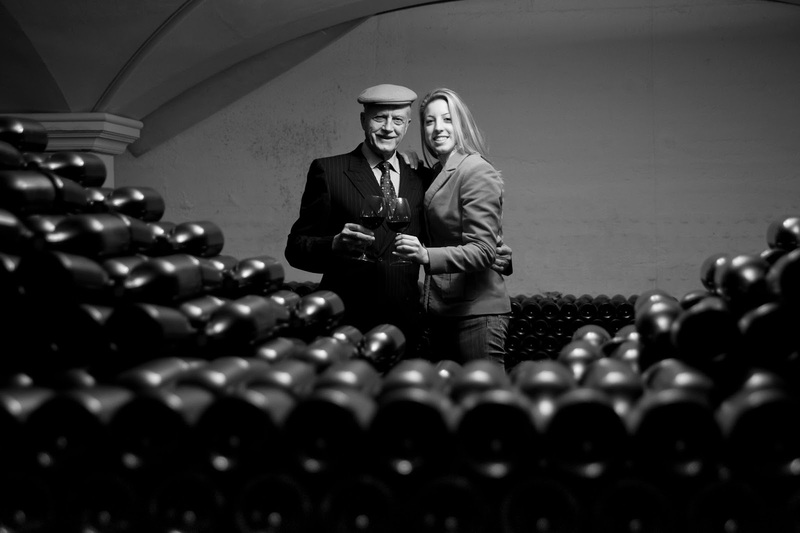 If ever a word defined a family, a man, and the wine borne from their passion, Emidio Pepe is it. In a country that possesses a list of iconic family ventures, Pepe sits comfortably among them. This year marks the 50th anniversary since current Patriarch, Emidio Pepe, grasped the reins of the family business from his father. Little has changed since that time, save some new familial faces that work passionately at their transgenerational craft. Of course, there are constants at play as well. 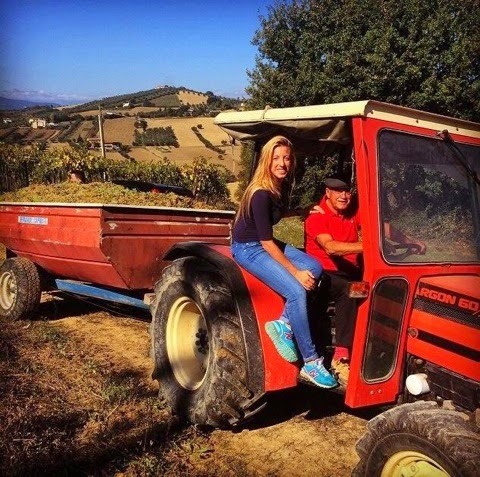 Emidio himself still roams the vineyards, still drives the tractors, still tastes wine to determine if it’s ready to be released. And the wines? The wines are simply excellent. Pepe is as traditional a producer as you’ll come across. Every aspect of his winemaking process is carried out by hand using only time proven methods. Vineyards are tended manually. Canopies are thinned by hand. Grapes are harvested, transported and de-stemmed by hand. They are crushed manually, by hand and foot. The resulting press wine is left to age in glass lined cement vats. No oak is used. None at all. 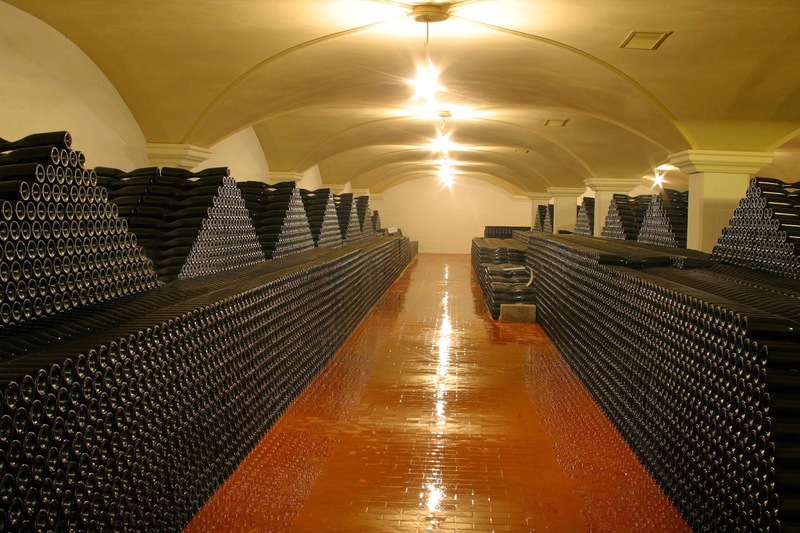 No additives of any kind are incorporated and the wines undergo fermentation only with natural, native yeast strains. 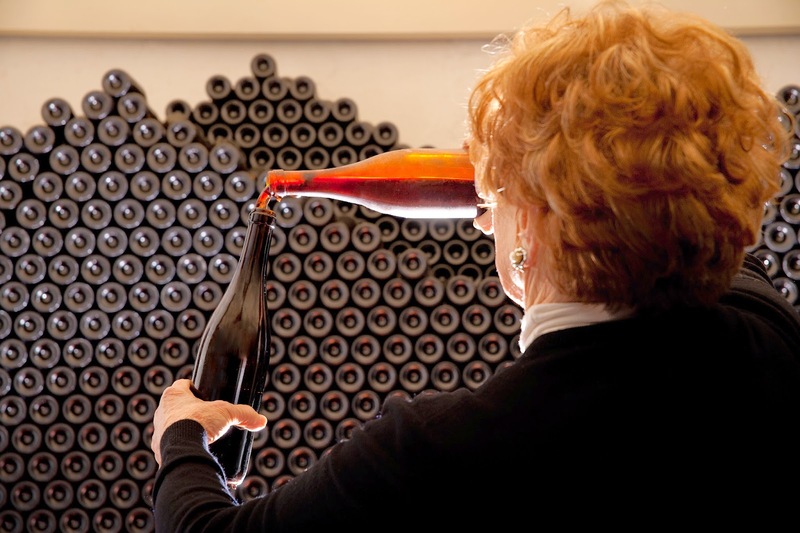 Once bottling is completed, the wines are sent to Pepe’s cellars, unlabelled, where they age typically up to 10 years before they are released. When the wines are ready to be released, they are uncorked, decanted by hand one by one without fining or filtration into a clean bottle, re-corked, labeled and then sold. It’s an intensive process that for Emidio, is the only way he knows to produce wine. Recently I was fortunate enough to sit down for a discussion with Pepe’s granddaughter Chiara. Charming, energetic, and with a deeply felt pride for her family’s business that is almost tactile, she represents a significant bridge to the future for Pepe. Chiara, thank you so much for joining me today. Giovanni, thanks to you for the opportunity. Let’s start at the beginning to see if I have my facts correct. Emidio is your Grandfather and he took over the business from his Father who began it during the late 1800’s. Is that correct? Yes, that’s right. Actually, originally my grandfather’s father was only producing some wine for family and to sell as bulk. Grandfather took the knowledge on winemaking from him and started bottling that wine in 1964. Little has changed in the way Pepe produces wine since then. The white are still crushed by foot, the Montepulciano pressed by hand. Why the insistence on these methods all this time? What makes them special? Making everything by hand is not only a respect for the tradition; we are still making the wine as people were doing 100 years ago in Abruzzo, but because we think the result is consistently different: the weight of the person while stomping the Trebbiano by foot makes for a very gentle and delicate pressure, if there are any unripe berries they won’t break and the acidity in the juice won’t be too high. At the same time, with the de-stemming by hand, only the berries open and fall down, while the stem inside remains at the top of the net without breaking. This way, only the good tannins, those coming from the skins, go into the juice, but not the tannins coming from the stems which are very bitter. What is your role in the business? I have seen you stomping grapes with your feet! And your Mother, Daniela, what is her primary role? I am – beside grape stomper and worker during harvest time, of course! – the Export Manager of the winery. So I take care of all the sales outside Italy, I do all the fairs and tastings and clients visit abroad. But being part of the Pepe family means being ready to do anything that needs to be done. So when it’s harvest time, the entire family harvests, as well as when it’s time to bottle or do other things. Remember that we are very small (60,000/70,000 bottles produced with 15 hectares or 36 acres, if you like). It’s a complete family business. My grandfather is still very active and an important part even today in the whole process. He still takes care of his vineyards by himself and he always has the last word in all the important decisions. 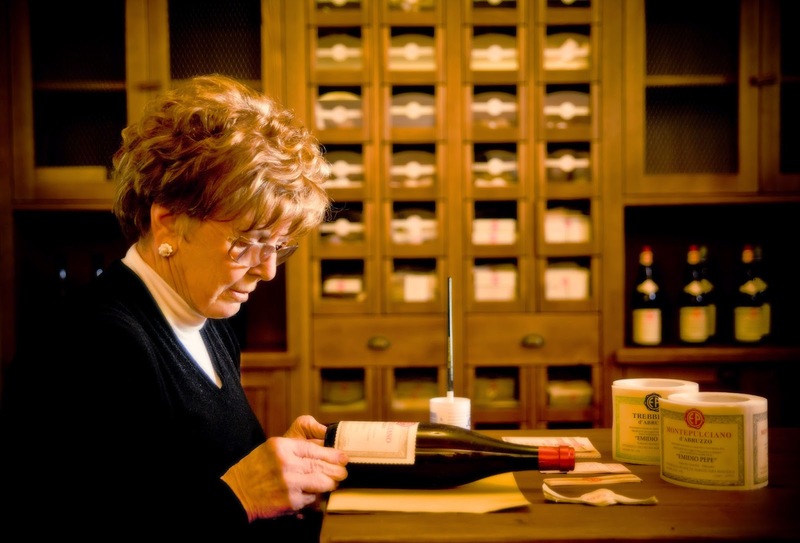 Grandmother is the one that decants all the aged bottles before releasing, checks them and labels them by hand. Today the winery is run by my mom Daniela, who takes care of all the administration and my Aunt Sofia, Daniela’s sister who is now in charge of the winemaking; actually for the last 10 years now. Plus me, the third generation. What really makes the difference is having the three generations working and cooperating together. Now we have all the experience of grandfather with his 50 vintages on his back plus the energy of the new generations. All my cousins and siblings are still growing and not of working age, but I hope them will join us soon! You do not employ the use of any wood barrels for aging, correct? Only glass lined cement tanks? Why is that? No barrels, exactly. First because it was never used in Abruzzo and it’s not traditional at all and our purpose is to make a great Montepulciano and Trebbiano d’Abruzzo that is the authentic, classic expression and example of those two grapes. Second, my grandfather never wanted to interfere or change the wine’s personality and its flavours. That’s why he never used any oak and only used concrete. The oak changes the wine a lot while the concrete lined with glass is completely neutral and doesn’t give anything to the wine. This way, we can keep the characteristics as nature gave it to us. Plus, with oak there’s a lot of microxygenation that in a certain way ages the wine in a very short time. We want our wine to be young for a longer time, that’s why we use concrete lined with glass, this doesn’t let the oxygen in and keeps the freshness in the wine for very long time. Sometimes, deciding to work in the family business is not an easy decision. What made you want to be part of the Pepe business? 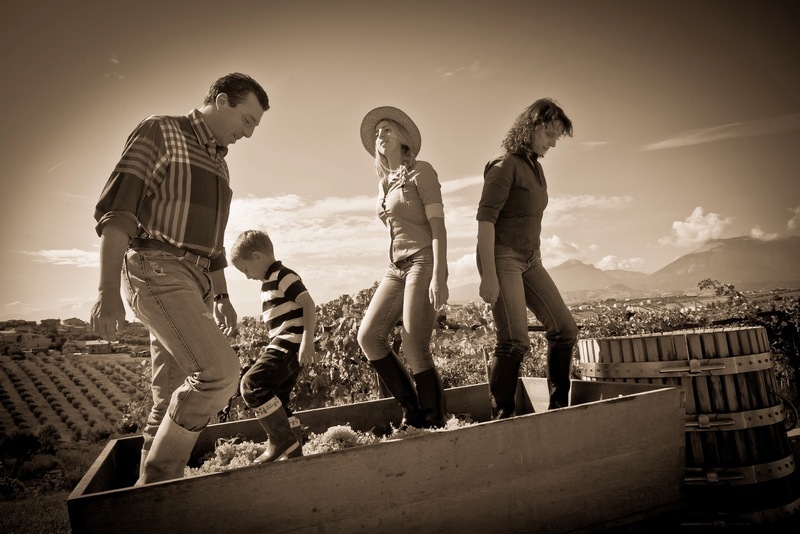 In our special family there’s no real division between family and winemaking. They always let me feel like part of the business since the very beginning. I have stomped on the grapes since when I was 2!! This is our way, our life. I never felt obliged to take over but for me it was just natural. They let me choose if I wanted to do it or to study something different, but for me there was no other choice to make. We have the wine passion in our blood and we can’t escape it. Plus, I love what I do. I love travelling, I love meeting new people. I love working in the vineyards and I love working for my family. Difficulties and arguements are part of the whole thing, but when you work with people that are part of the family, it makes everything easier. All the important decisions are taken together even if everyone has their own task and main responsibilities. Compared to most wineries, you release your wines very late. What criteria do you use for when a wine is ready to be released? Who makes the decision? Grandfather always thought that Montepulciano needs at least 9-10 years age before it’s ready to express all it can and show as we want. We like to release the wine when it’s ready, not when the market wants it to be ready. Pepe is iconic in regards to Montepulciano. Do you think it retains that standing against the other notable wines of Italy such as Barolo & Brunello? Sure, I think that it maintains the comparison and every now and then it exceeds it. It has everything it needs to do so: elegance, power, finesse and aging potential. My Grandfather still shows me the results of a competition that took place in Chicago in 1979, when his Montepulciano d’Abruzzo 1970 won first place and after his wine came the 9 best Barolo, Barbaresco and Brunello we had in Italy at that time. Of course it all depends on how you make the wine: Grandfather always had the idea to make one of the world’s best wine. The goal makes the difference also. I agree Chiara. It does depend on the effort you put into the production. Just like there are many average Montepulciano, there are average Brunello, Chianti Classico and Barolo/Barbaresco. In fact, were that not true, producers would not be so eager to leave their DOC/DOCG regulations behind. So what’s new at Emidio Pepe. What are you excited about? Definitely our 50 year anniversary celebration. This year Emidio Pepe celebrates his “50 vintages”. We started the celebrations in New York earlier this year with an auction of grandfather’s first vintage at the New York Stock Exchange: a bottle of Montepulciano d’Abruzzo 1964 was auctioned for a charity event on Wall Street. Then there were two more events in NY; a vertical tasting at Marea and a gala dinner at Del Posto. Now we are moving the celebration back to Abruzzo. On the weekend of the 22nd & 23rd of November we’ll do a big celebration with all our supporters, and fans of all time here at the winery. Some American journalists will join as well, some sommeliers, all our sales reps, our Italian distributor and some of our importers who are coming from all over the world. Also very exciting is the new book that has recently been published on grandfather. It talks about his life and the wines, the family, the history and at the end there is a chapter with all the tasting notes of all the wines we have, back to 1964 for the Montepulciano and back to 1970 for the Trebbiano. All the vintages: released and not released. Translated in English, written by Sandro Sangiorgi, who is one of the best in Italy right now in my opinion. What concerns about the future does Pepe have? Being a little further south than many of the other premier wine regions of Italy, do you see increasing difficulty from global warming? Being so close to the Gran Sasso mountains (30 min) and so close to the Adriatic Sea (10min) lets us have a great microclimate with very cool nights and wonderful sea breezes. The location really influences the quality of the wine but at the same time we think that the vine is one of the most adaptable plants in the world and has survived for many hundreds of years. The fact that we grow biodynamically lets them be much stronger in terms of reaction to diseases and lack of water. They will face the changes and modify their structure in order to adapt themselves to any new microclimate. Being so well located, I think we will be the last to see any consistent changes, if there will ever be. When you deal with nature and you respect it, you can only take everything that she gives you and work from there. That’s what we’ve been doing and we’ll continue to do in the future. Chiara, thank again so much for your time and efforts to this interview. It is greatly appreciated. Grazie a lei, Giovanni. And now, let’s taste! While Pepe may be best known for it’s Montepulciano, it’s Trebbiano is equally unique. The 2010 Trebbiano d’Abruzzo is dark gold in color – actually darker than the picture below indicates, the wine is unfiltered and slightly cloudy. Aromas are easily coaxed from the glass and include fresh lemon, lemon wax, grapefruit and white flowers. Long legs line the glass. On the palate, the wine is fruity, but bone dry. Viscous with solid medium body to the citrus, white peach and mineral flavors. Remarkable and easily the most serious Trebbiano I’ve ever tasted. While not overtly tannic, without the food, the wine is “chewy” and displays a noticeable structure. Paired very well with my Shrimp and Beans recipe. 91 points. SRP ~ $45. Disclosure: This bottle was an importer provided sample. 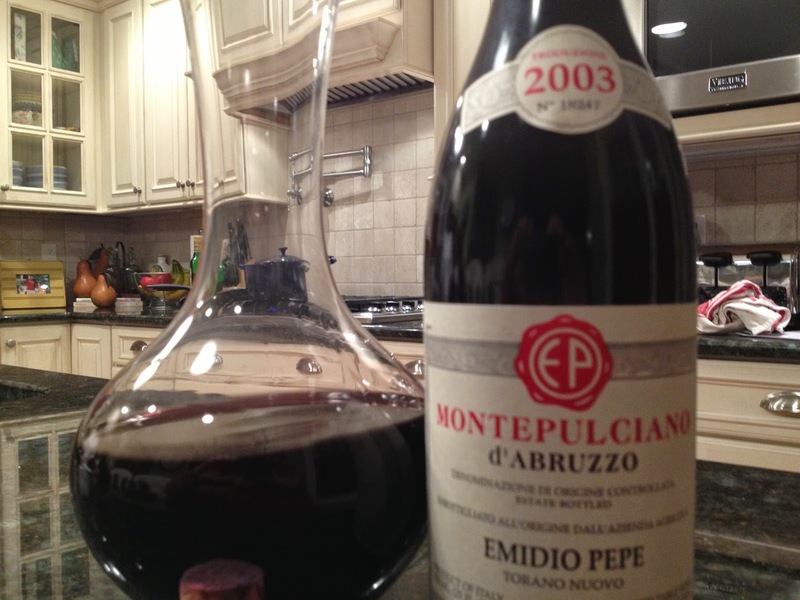 It’s been over a year since I last tried Pepe’s 2003 Montepulciano. At the time, I was slightly disappointed in the way it showed, owing mostly to the steep cost of the wine. This recent tasting showed encouraging development and perhaps that’s the difference. The ability of Pepe’s wine to age and see what it becomes after years, or even decades, is the reward for the price of admission. The 2003 Montepulciano d’Abruzzo is inky black in the decanter. On Chiara’s advice, I only decanted the wine moments before dinner – mostly to separate the wine from the sediment in the bottle. Chiara suggested we let the wine unfold in the glass over dinner. The aromas of the wine are developing nicely. Lots of crushed black plums eminate from the glass even before swirling. Swirlitude reveals accents of fresh flowers, minerality, piney/rosemary like herbs and a faint roasted coffee note. On the palate, the wine has loads of velvety plummy fruit that is framed with slight black licorice, smokey pepper, and cake spices. Full bodied and long with velvety tannins that clamp down somewhat on the finish. The balance is certainly there for additional aging potential. This one is still a baby. 91 points – about $75. While the 2003 Montepulciano was delicious, the next wine was even better and clearly a candidate for long term cellaring. 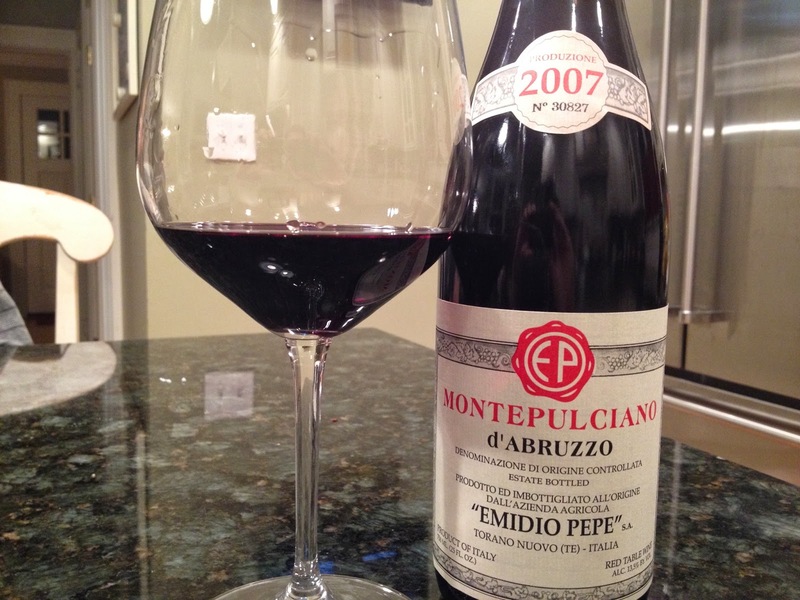 The 2007 Montepulciano d’Abruzzo is a deep black purple. It was not decanted at all despite a crust forming on the inside of the bottle. Penetrating black fruit aromas rise from the glass; plums, smoke, lavender, and freshly turned warmed earth are discernible. The palate is no less intriguing. Velvety black fruits, spice and bacon form the core of this experience and are persistent and long. Full bodied and well balanced, this is a large wine with loads of acids and tannins. Delicious now for the voluptuous nature of the fruit, but this will cellar well for a decade at least. Chewy without food – excelled with seared duck breast over risotto. 95 points. About $80. Disclosure: This bottle was an importer provided sample. John, very insightful interview, thanks! With the description of the 2007 Montepulciano you wrote, I would have believed anyone who would have told me that the wine is aged in oak barrels… All these aromas coming exclusively from the grapes, looks unique! I once had dinner with a winemaker in Napa. We were tasting a wine (not his) that was totally fraught with oak aromas. Vanilla, cream, buttered popcorn… He sandbagged me. The wine saw not one mintue in oak. 100% stainless steel fermented, aged and bottled. His explanation for the aromas was the native yeast. He says certain strains of yeast can combine uniquely with the terroir and produce aromas like we experienced. And, fwiw, I finished off the Pepe last night and the bacon aromas were even more pronounced – like a meaty Cote du Rhone. I have been told by a collector of the Pepe Montepulciano d'Abruzzo that the wine released in Italy is not the same wine that is released in the US or England. The one released in Italy is released very early- currently the 2012 in restaurants in Rome- it is from less mature vines and is to be drunk young. The other is held back, made from more mature vines and released after a number of years to US and England?????????????? Interesting. I have not heard that, but I can ask Chiara and post an update to this article if that's true.